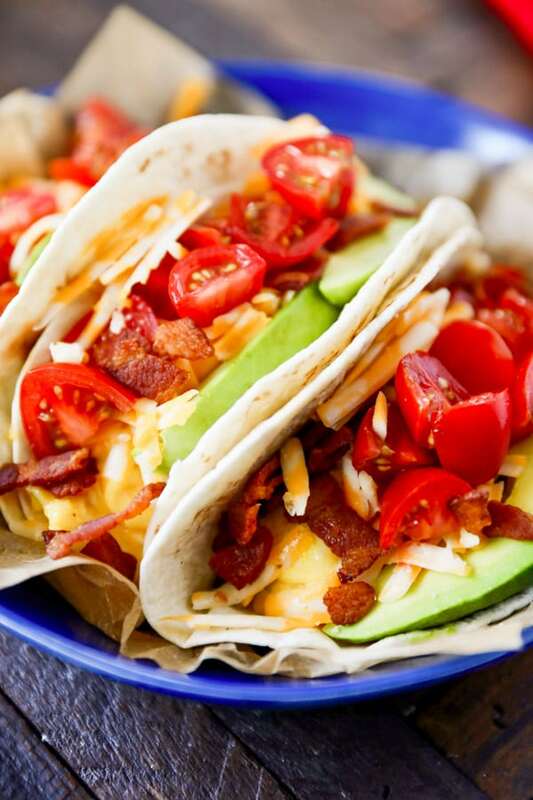 Breakfast Tacos are an easy breakfast idea that the entire family will love. 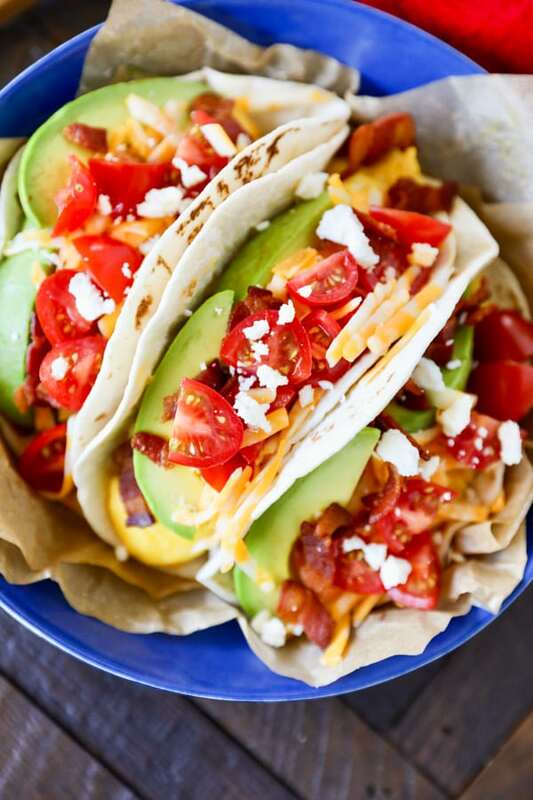 Scrambled eggs, avocado, cheese, crumbled bacon and fresh tomatoes on a soft flour tortilla. 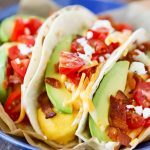 This breakfast tacos recipe is so easy to customize! 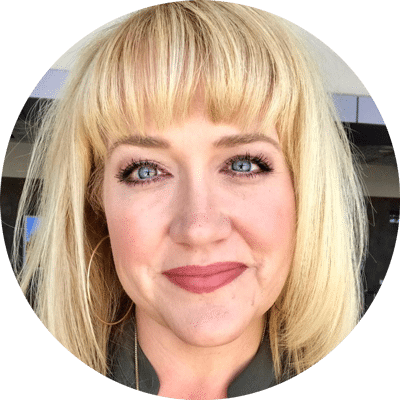 If you need an easy breakfast idea that will please the entire family, breakfast tacos are the way to go! 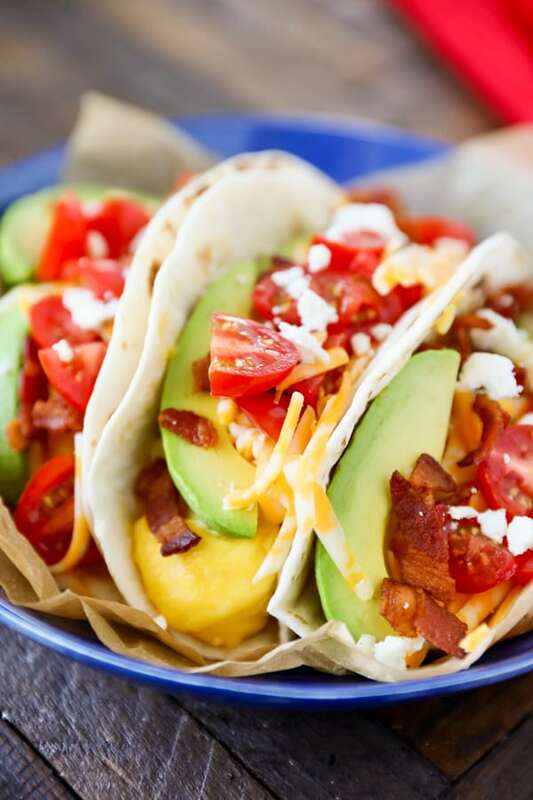 This recipe is the perfect combination of soft scrambled eggs, crispy bacon and our favorite taco toppings. For a savory breakfast, packed with protein, just prepare the breakfast taco fixings and let everyone build their own. A morning taco bar! 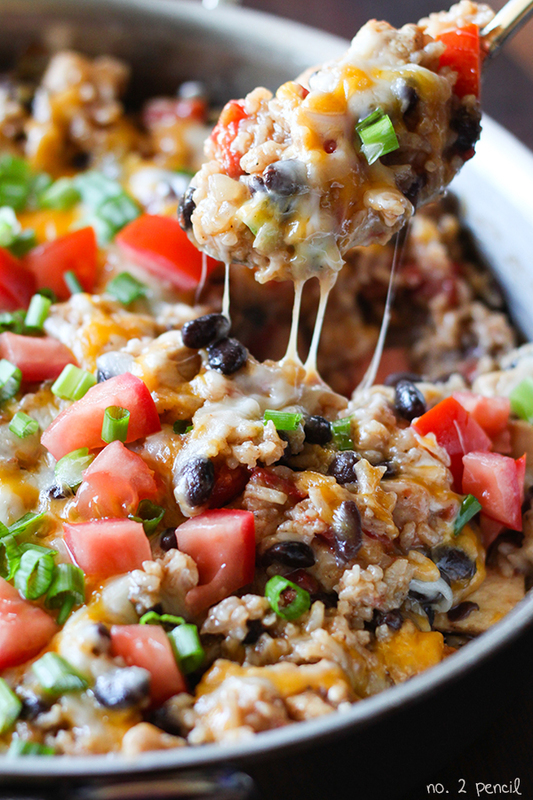 Prepare breakfast taco toppings and set aside. In a medium bowl, whisk together eggs, milk, salt and pepper. Heat butter in a non stick pan, over low heat. For the best scrambled eggs, use a fine mesh strainer to strain eggs into pan. Heat eggs over low heat, stirring gently with a nonstick rubber spatula occasionally, just until soft curds start to form. Don't rush this step. This is how you get tender scrambled eggs. While waiting for eggs to heat on low, warm flour tortillas according to package directions. Once egg curds start to form, increase heat to medium low and fold eggs gently as curds form more quickly. Remove eggs from heat when eggs still look slightly undercooked as they will continue to cook. This recipe makes about 8 breakfast tacos. Serving size is 1-2 tacos per person depending on appetites. This is a wonderful idea. It looks really good and easy to prepare. Can’t wait to have this for breakfast.